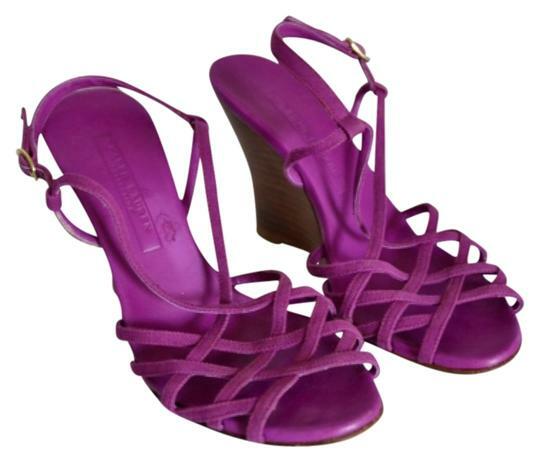 Ralph Lauren collection strappy wedges! Made in Italy.. Size 6 1/2 says size 7 but fits me which I wear 61/2. Leather lined. Canvas upper. Purple color. Wear to soles(pic). Exterior in excellent condition!